Research Institute Deemed University students and scholars. FRI Dehradun. She referred UNEP- WMO report that the Ozone layer is on the path of recovery. greenhouse gases in due course. 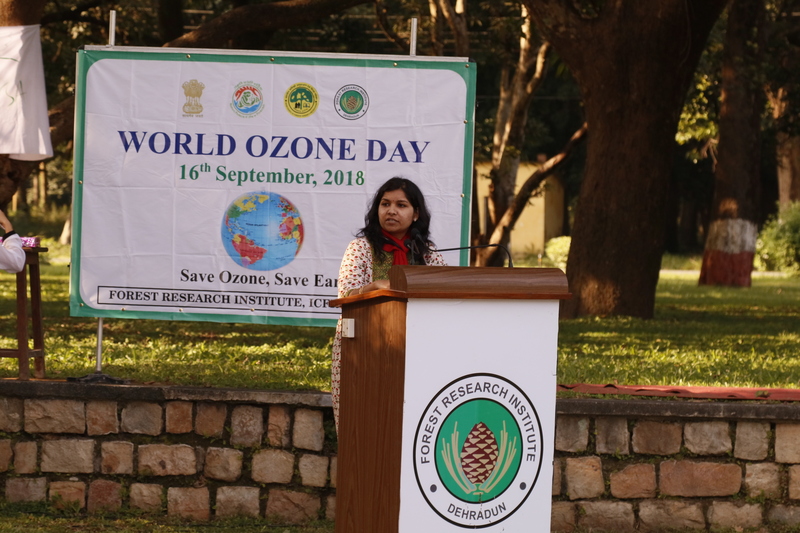 general public was made aware of ill effects of depletion in Ozone layer. Dr. Neelu Gera, Sh. S.D.